Do you want to learn to live a life of worship? Children ages 6-12 will follow along on tour with world famous worship band, Cloud 9, as they teach an up and coming artist what worship is all about. Get an all-exclusive look at behind the scenes footage of the band as they crisscross the world to make God’s Name famous. In this new Elevate series Cloud 9 will show us how to make worship a part of our everyday lives. 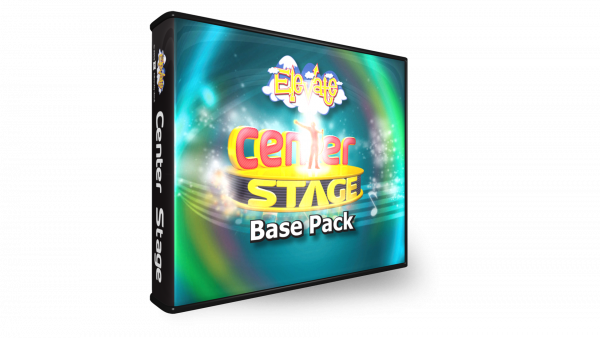 You can also purchase the worship album, Cloud 9: Center Stage CD, from the Cloud 9 band. 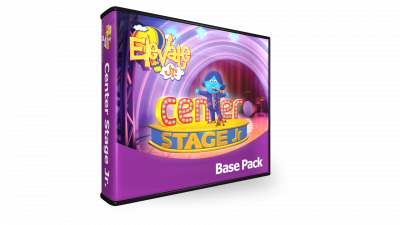 This CD includes songs from the series Center Stage, plus a few original songs. For this series, the Perform It Live Teaching Format includes performing the Bible Lesson live and watching the Skit on DVD. The children will learn that we should only worship God. We accomplish this by not letting anything become more important to us than God. The children will learn that we should worship God with our voices by singing to Him. Moses and the Israelites sing to God. (Exodus 15) Mary sings to God. The children will learn that when we worship God through prayer, we should not just give Him our requests, we should also listen. The children will learn that we worship God through serving. We should serve God and serve others even if it makes us uncomfortable. The children will learn that we worship God through giving. We should give our tithes and offerings to God, but we should also give to people in need. The children will learn that part of worshiping God is caring for other people. We can show love in many different ways including kind words, gifts, touch, quality time and acts of service. The children will learn that God should be the most important One in our lives. And if God truly is the most important, we will worship Him with our obedience. The children will learn that we have reason to worship God no matter what our circumstances are. We should worship God when things are going well and we should worship God when things are not going well.